Ohio Adventures is an outdoor recreation facility located in the beautiful countryside of Granville, Ohio. 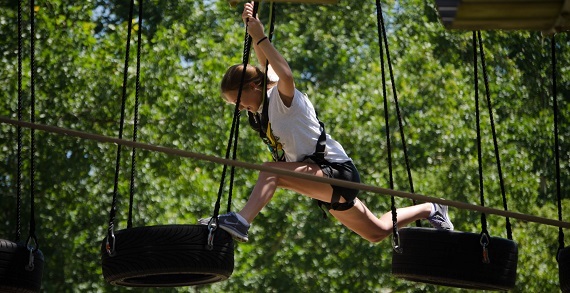 Ohio Adventures offers a unique experience with a 300 foot long 30 foot tall Zipline, Two Story Challenge Course, and Tactical Outdoor Laser Tag Course using the most advanced laser taggers on the market today. Ohio Adventures wants you and your family, your friends, your groups, your team, and your co-workers to enjoy an adventure and experience fun, challenging outdoor activities. So get off the couch - come play with us at Ohio Adventures! Come for the adventure, stay for the memories! Ohio Adventures has a special survival training, parties, and team building experiences. Ohio Adventures partners with Lazy River At Granville and offer a day pass to give access to their amenities.